I arrived at 9:30am at Salt Fork State Lodge and Conference Center and parked at the transition area location across the cabin boat docks. 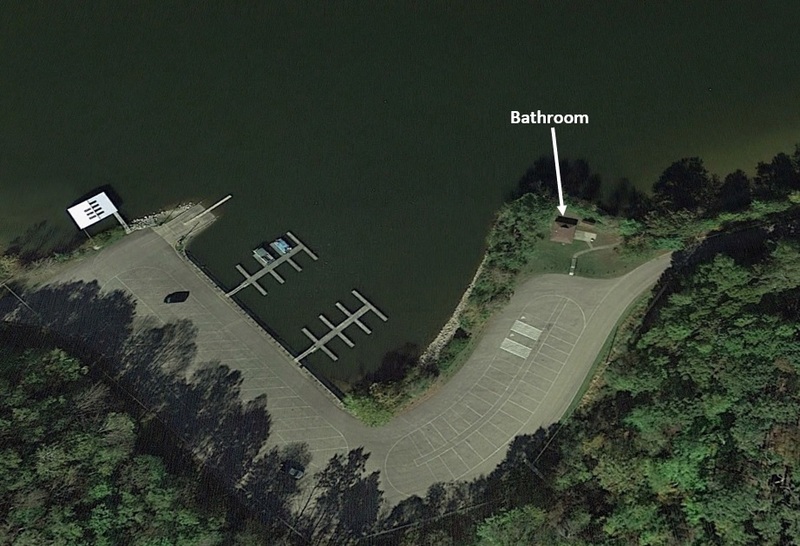 There is a nice bathroom located there and a nice egress to the swim course from the cabins private beach area. 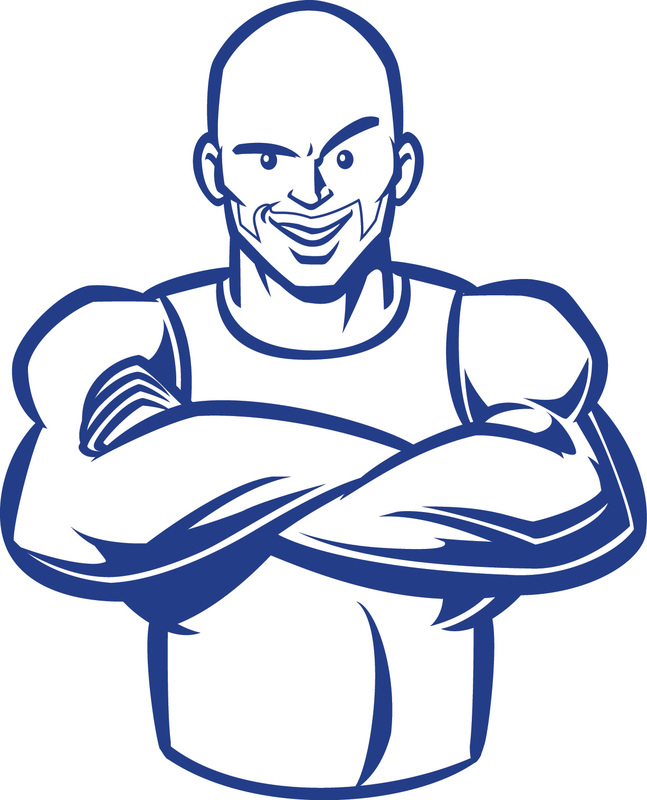 I jumped on my bike and road a few laps around the parking lot to make sure everything was working properly. I quickly realized I forgot to charge my front derailleur battery and I could not shift out of my large chain ring. I addressed my options; I could ride the entire day in my large chain ring (wow that would make for some hard-core blog riding) or swap out the back-derailleur battery with the front temporarily, so I could shift into my small ring and leave it there for the rest of the day. Believe it or not I decided to go with first option and keep it in my large ring for the ride…that lasted about 6 miles and after my 4th climb at 480 watts I decided that there was no way I was going to survive this course in my large chain ring. After switching to my small ring, I finally started to enjoy the ride…even as temps approached 90+ degrees by 10:30am. About 7 miles into the ride I left the park roads and started riding the county roads of Guernsey County which is when I got the first switch back climb on Freedom Road (love the name). As you can see the switch back is wide enough for two-way car traffic to pass by safely and the elevation is much more gentle than the steeps of Shawnee. On this particular climb I bombed down the decent and actually enjoyed the accent which still was mostly in the shade. After a left turn on to Broadhead Road, which is a smooth and gently rolling road, you’ll notice most of the houses do not have electric lines running to them…you are now officially in Amish Country! This is a beautiful section of the course and I enjoyed passing by the many Amish houses and seeing their underwear out drying in the sun. Other than some horse droppings, the road surface is smooth and fast. 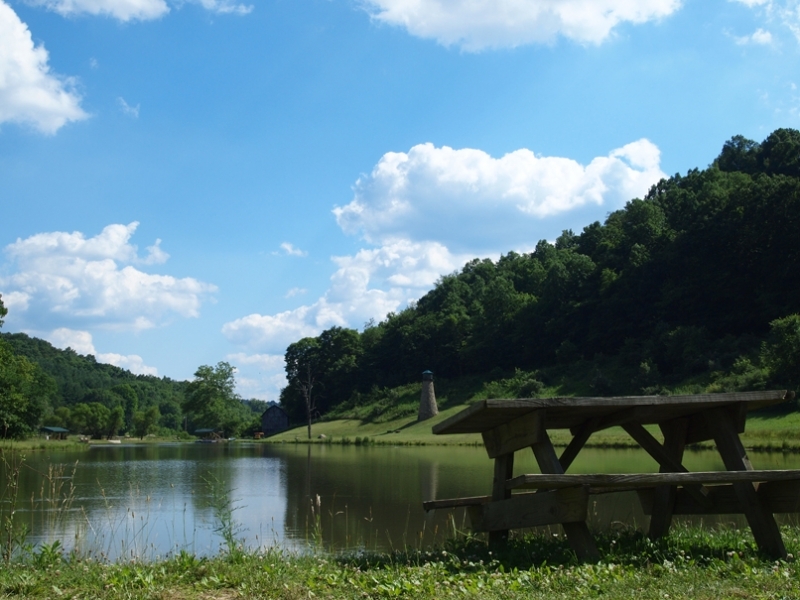 In the middle of Broadhead Road you’ll drop down to the Rocky Fork Recreation Area around mile 11. 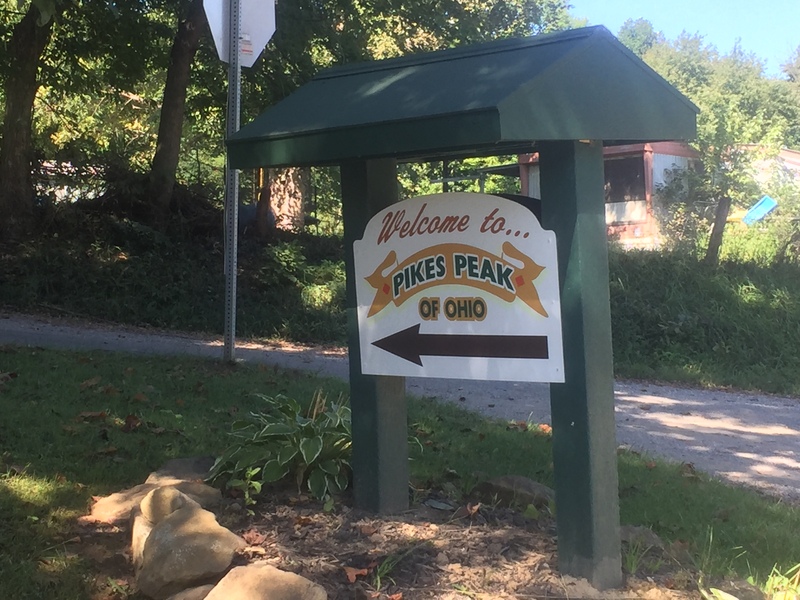 The climb up and out of the Rocky Fork Recreation Area is nice and has a gentle rise to the road that leads to “Ohio’s Pikes Peak” and the top of the climb. 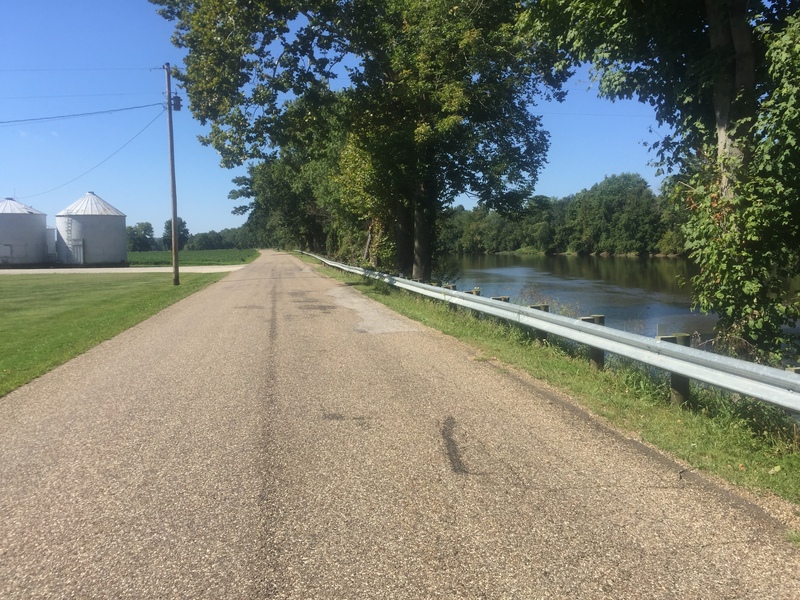 At 13.5 miles you leave to the smooth surfaces of Broadhead Road and head north on the bumpier Salt Fork Road which features some wheel sucking cracks in the road. I’ve been assured by the county these roads will be repaired by the time the race rolls into town. You’re only on Salt Fork Road a short distance (about 1.5 miles) before it turns into State Route 258. Once the road turns into State Route 258 the surface goes back to smooth and fast. 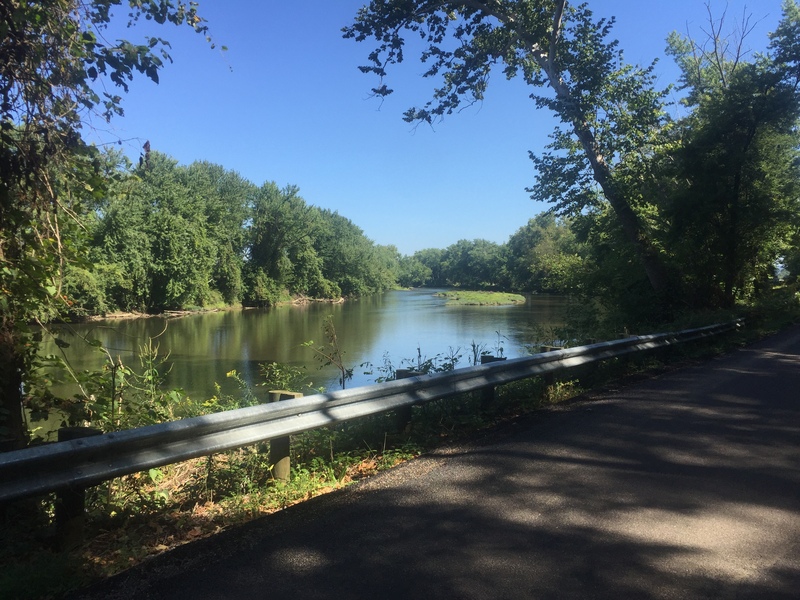 State Route 258 rolls down towards River Rd where you begin a nice flat section along the Tuscarawas River. This is a spectacular section that had very little traffic on it and provided awesome views of the river. 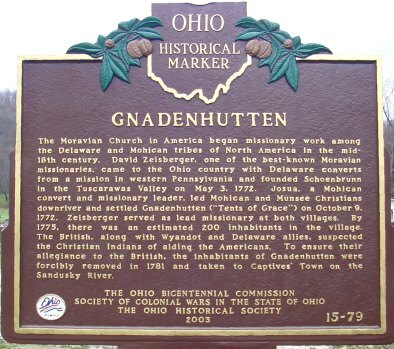 I rode past the turn around point at Gilmore Road so I could restock my fluids at a local gas station in the little town of Gnadenhutten (say that five times fast). The ride back from Gnadenhutten was a little tougher on River Road as I discovered I had a headwind coming back. However, I still enjoyed this section and held back a little knowing the ride back up 258 would be tough in the early afternoon heat. 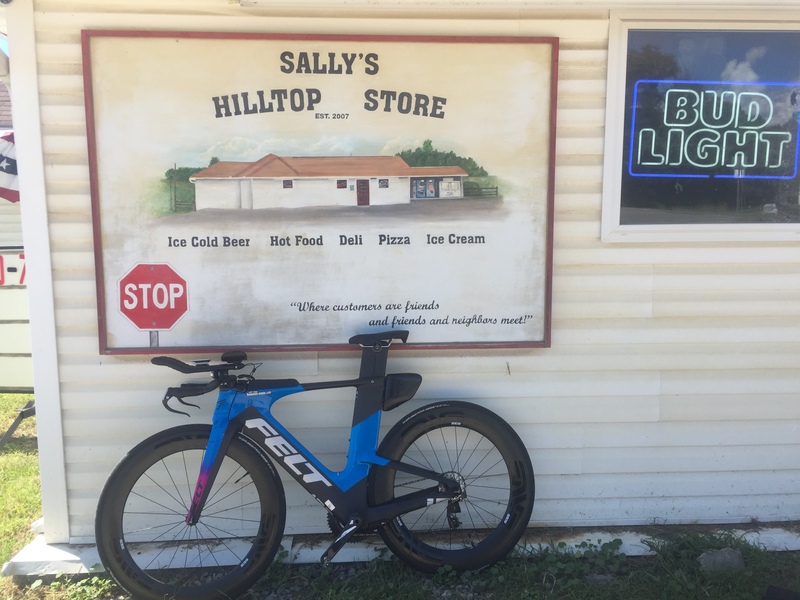 At the top of 258, around mile 41, I stopped at the appropriately named “Sally’s Hilltop Store” for another refuel stop which included a huge chocolate chip cookie that the checkout lady said was actually made by Sally. Salt Fork Road turns into Old Twenty One Road and had some of the same wheel sucking cracks and bumpy sections that plagued Salt Fork Road. However, you can count on those being repaired or at least well highlighted by orange paint by race weekend. At mile 46 you take a left back on to Freedom Road for 4 miles of serious roller coaster riding. This section featured large hills that go straight up and straight down allowing me to hit about 45 mph safely without even peddling. I can imagine this will be a really tough section on day 3 of the Triple-T for both the XT and ST racers. 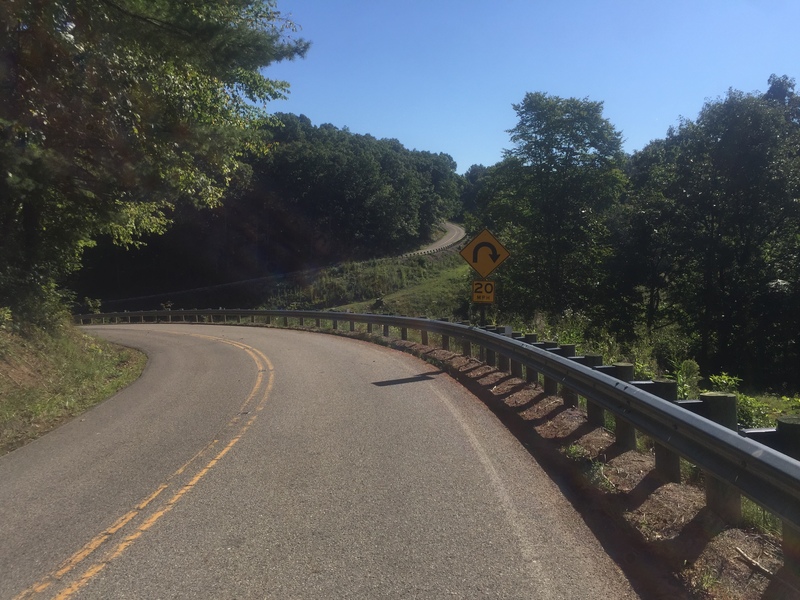 Once I got back to Egress Road where the half iron turns right and heads back on to the park roads, I opted to go straight and ride the back half of the Olympic course which again featured the switch back climb from earlier on Freedom Road. The course goes south on Birmingham Rd which is a state bike route and features smooth road surfaces and multiple long climbs. I loved this section of the course and I’m sure this will get rave reviews from participants…maybe not the second time around in the afternoon but certainly during the AM course. 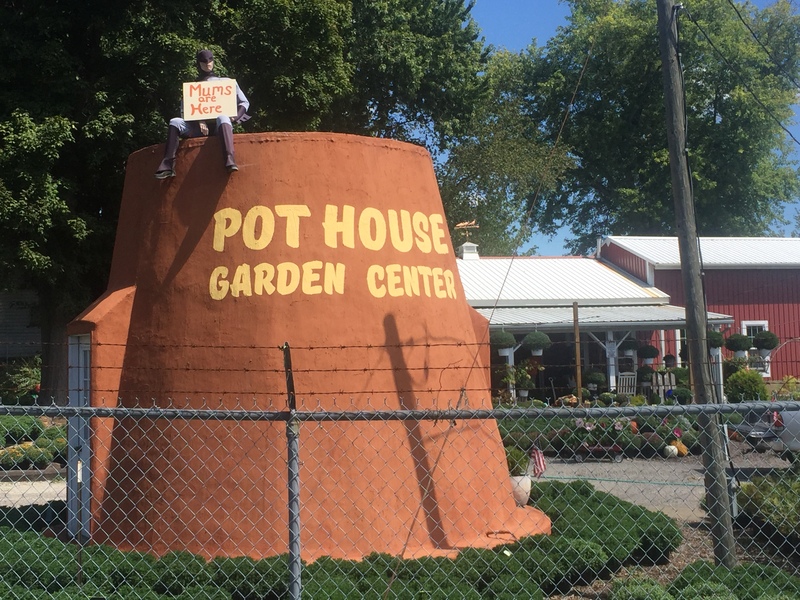 Birmingham Road intersects with the little town of Winterset, home of the Pot House Garden Center that Batman appears to be watching over…from there turning right onto Cadiz Road (State Route 22) was a nice relief as I knew I was getting closer to the park. Due to this road being a higher traffic road we’ll be detouring car traffic via Birmingham Road south to Lake Ridge Road during both Saturday races. 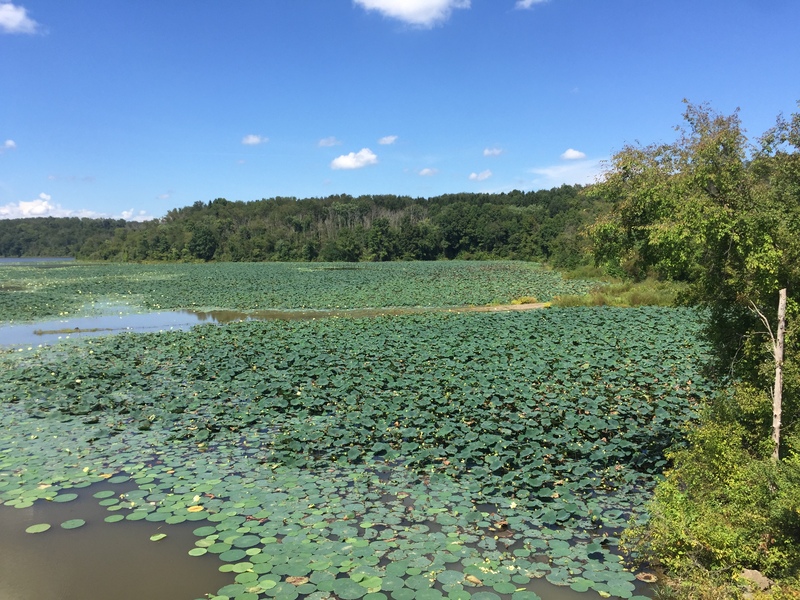 As you approach the park entrance you cross a bridge that has a spectacular view of a beautiful lily pad section of the lake. The section in the park from Park Road #1 to Park Road #3 is no joke and features some of the toughest climbing of the day (or at least that’s what my legs were saying at this point in the ride). Some of the park roads have sections with orange paint on them and according to the park manager these sections are scheduled for repair…hopefully before the race. Once I pulled back up to my truck I was totally cooked and looked forward to jumping in the lake to cool off and to clean off. There was about 8 boats anchored in what would be the right side of the swim course and many had entire families enjoying themselves on inflatable rafts or just swimming near their boat. I was amazed that there was a nice firm sandy bottom as I walked out to nearly chest deep water, which will be part of the swim course for every race. This will certainly be nice for the Saturday PM race where many participants will discovery it’s really tough to swim after riding a hard-hilly bike ride and may need to stand for a break ;). There is no doubt that Salt Fork will continue the tradition of challenging courses in the American Triple-T. However, the major difference I felt was that the hills may have been long (in some cases even longer than Shawnee) but they were not as steep and the descents were much safer. All the courses are on much wider roads with have much better visibility than the roads of Shawnee. 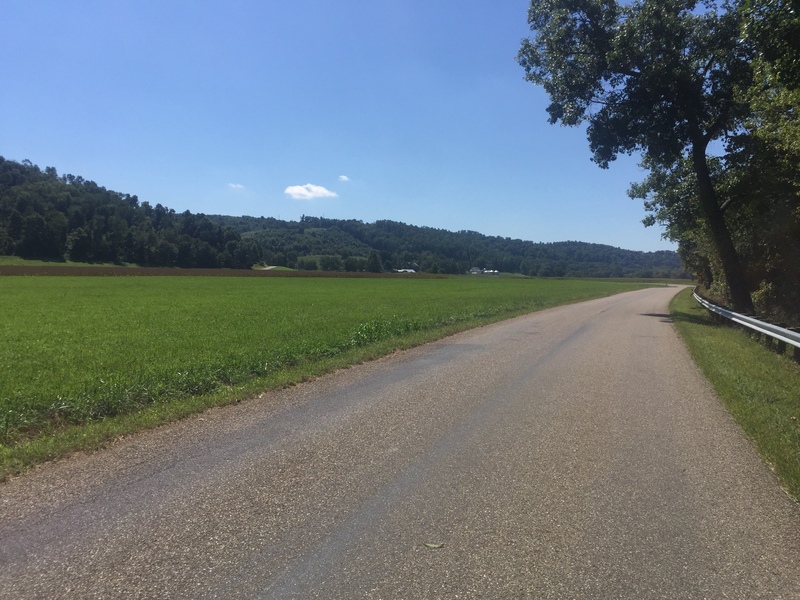 HFP Racing is planning an early May training camp for the American Triple-T to give participants a chance to train on these roads and get some miles on the Shadbush Trail.